Johann was born in 1729 at Fischbach, Nahe, Germany and married Maria Magdalena Herman on March 25, 1761 at Freusburg, Germany. Mary died around 1732 in Hachenburg, Germany. Johann was killed in a mining accident while trying to rescue another worker. Mathias was born on February 19, 1754 in Freusburg or Darmstadt and married Martha on April 22, 1778 in Freusburg and died in 1827 at Bedford, PA. Mathias was a Hessian soldier in the American Revolution and fought at the Battle of Trenton NJ. 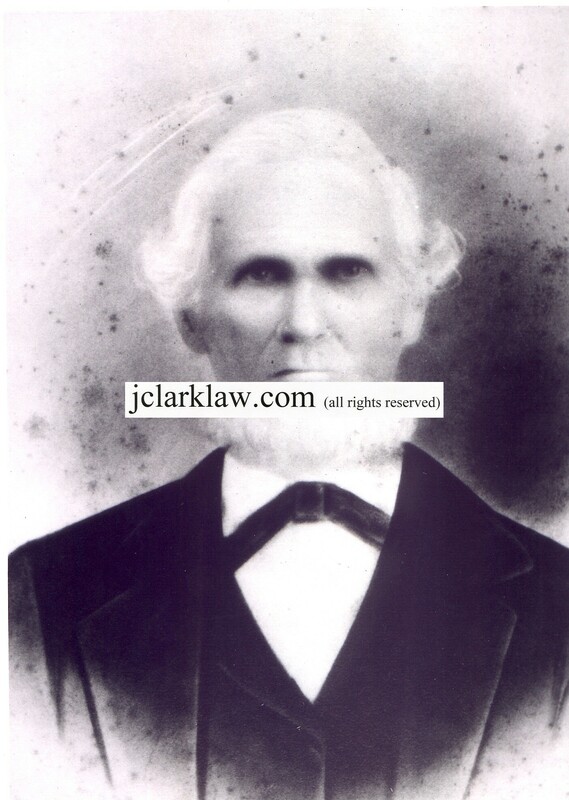 John was born in 1777 at Darmstadt, Hesse, Germany and married Elizabeth Hoevel (Hevel) in 1798 at Martinsburg, Blair Co., PA. John died in 1865 at Clarksburg, Moniteau, MO. Elizabeth drowned to death around 1830 in Wooster, Wayne Co., Ohio. John was a weaver by trade and an abolitionist even though a Democrat. David was born July 7, 1823 in Woodbury, Bedford Co., PA and married Catherine Lucella Ashford on July 21, 1849 in Courtland, Lawrence Co., AL. John died on March 14, 1903 in Fayetteville, Washington Co., AR. Catherine was born on March 18, 1825 in Courtland, Lawrence Co., Al and died on July 16, 1882 in Fayetteville, Washington Co., AR. David served for the Confederacy during the civil war, was a minister, teacher, lawyer and was an Arkansas State Representative (Democrat) from 1873-1874. David was born on July 14, 1855 in Courtland, Lawrence Co., AL and died on October 27, 1893 in Fayetteville, Washington Co., AR. David and Artelia were married on March 18, 1884. Artelia was born on August 24, 1868 in Richmond, VA and died on January 14, 1952. Harry was born on June 7, 1894 in Fayetteville, Washington Co., AR and died on May 31, 1964 in the same location. Harry and Sarah were married on November 6, 1913 in Prairie Grove, Washington Co., AR. Sarah was born on November 22, 1895 in Prairie Grove, AR. Harry was a pharmacist and a member of the Baptist church. Carl was born on July 30, 1915 in Fayetteville, Washington Co., AR and died on 4 March 2000 at N. Little Rock, AR. Carl and Hazel were married on February 19, 1936 in Prairie Grove, AR. Hazel was born on November 28, 1911. (1) Mary Emily Bridenthal was born on 28 August 1937 at Fayetteville, Washington County, AR and married Marion Lewis Clark on 24 September 1955 at Greeneville, Washington County, AR. (2) Sara Lee Bridenthal was born on 26 August 1939 at Fayetteville, Washington County, AR and married Jack Walker Sanders (b. 14 Nov. 1938) on 6 August 1961 at N. Little Rock, Pulaski County, AR. (3) Robbie Jean Bridenthal was born on 25 November 1943 at Little Rock, Pulaski County, AR and married Hans Peter Braunfisch on 26 April 1963 at the same location.